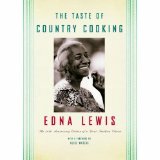 Another one of my influences and a great African American female chef and historian Edna Lewis documented the fact that unless something is done, the history of southern food and how it was grown, cooked and served will be forgotten forever. She co-founded, The Society for the Preservation and Revitalization of Southern Food, to try to ensure that those ways be preserved for future generations to know, learn and understand. 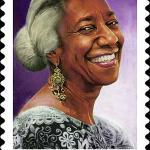 Chef Edna Lewis is considered to be the authority on Southern cooking and she was also a pioneer of the farm to table movement. 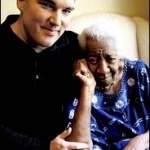 Born in Freetown, Orange County, Virginia, on April 13, 1916, the granddaughter of a freed slave. Chef Lewis considered southern food the only truly regional cuisine of this country, like jazz and the blues… true American art forms! 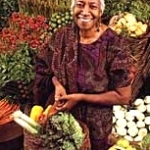 Chef Lewis cooked her sought after dishes for the rich and famous at Café Nicholson in New York City and because she believed in good, fresh, simple food, the same dishes will be equally at home on your table being served to your family. It was as much what she fixed as how she fixed it. The lost art of home cooking from scratch can be found again! 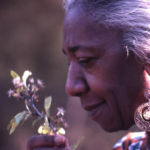 Among many other awards and honors that she has received, two which would be known to all the foodies reading this, in 1995 chef Lewis was awarded a James Beard Lifetime Achievement Award (their first ever) and in 1999 she was awarded the title of Grande Dame by Les Dames d’Escoffier, an international organization of female culinary professionals. 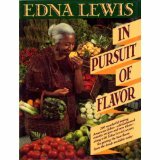 A true farm to table cook, chef Lewis believed in fresh food, simply prepared as the basic recipe for an outstanding meal. 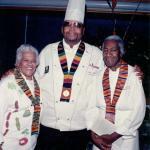 To read Chef Lewis’ bio, click this link to The Edna Lewis Foundation , to go to her foundation website, created in 2012. As I didn’t get to talk to chef Lewis personally, the videos and her cook books help give me a deeper understanding of who chef Lewis was. Better than just reading about her. We get to hear a little bit of her story – in her own words! Incredible! 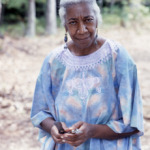 This is a series of photos of chef Edna Lewis. 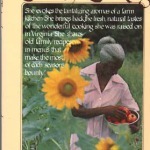 Some are from her cookbooks and some from life moments. Please take note of the last photo, it’s a stamp – yes a U.S. postage forever stamp commemorating the life of this great chef. 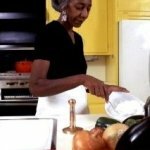 This is a short interview with Chef Lewis and gives insight into not only who she is but into her concept of the food she cooked. Chef Lewis seemed to me to be s a woman of quiet, unassuming disposition who filled the space around her with elegance and wisdom. Enjoy! 1999 – Named Grande Dame by Les Dames d’Escoffier, an international organization of female culinary professionals. 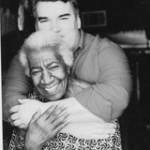 Edna Lewis was amazing. Would have so enjoyed cooking with her! Oh my gosh me too! 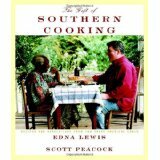 Fact is when I moved to Atlanta, she was still there cooking with Scott Peacock! By the time I discovered her, it was too late! I love her recipes and have tried quite a few! Thanks for the comment!